They just didn’t bother to tell anybody they’d moved the ObamaCare deadline. Here’s Bloomberg’s report from earlier this morning. We’ve stopped counting the number of unilateral changes The Imperial President has made to this law. We suspect the insurance industry has stopped counting too. We can’t wait for the New Year. If you thought 2013 was bad for President Obama just wait three weeks. All of the reporting, as with the Bloomberg report above, is saying “people don’t know when they have to pay” for their policy. Come folks. Have you never purchased anything in your life? The administration, under the leadership of both The Imperial Won and Kathleen Sebelius, has mucked up this program beyond what even your cynical Curmudgeon could have guessed. Not only do the buyers not know when – or how – to pay for their policies, but the insurance companies don’t even know WHO they’re supposed have as policy holders. 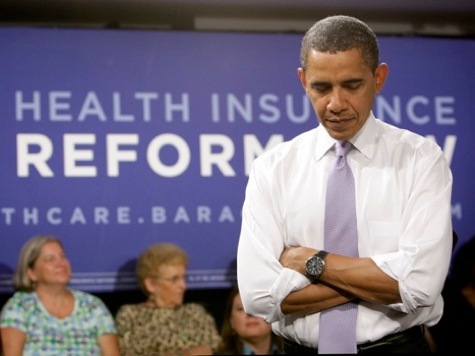 As of now “some” insurers are going to accept payment as late as January 15th for policies that start on the 1st. Heh. Just wait until around the 10th or so, the administration will be bullying them to accept payment on the 1st of February. Or the 12th of Never. And then there’s the medical care providers. They’ve just discovered that there’s a 90 day cancellation window built into the law for the insured. In other words, once a policy is issued the insured can’t be cancelled for non-payment for at least 90 days. And when they are cancelled the providers are on the hook. Good luck with that. As the Boomberg story points out, there’s even more under the tree for the President and the insurers. The President was hoping for shooting at for 7 million signups by March 31st. The target was to have about 3.5 million signed up by January 1st. They are saying they’ve got maybe a million, but that’s just people who they think might have “chosen a plan”, they haven’t actually PAID for it (see above). While the website seems to be working a tad better on the front end, the back end isn’t working no matter what the spinmeisters are saying. Actually, they’re not saying anything. Let’s not forget the number of young people who’ve signed up. Or not. 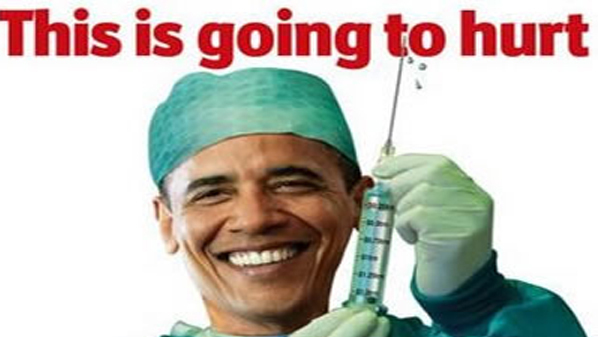 If the total signups finally come in and less than 40% of the enrollees are under 30 the plan goes into a death spiral because their premiums are needed to pay for care for old fogeys like the Curmudgeon – who is not on an ObamaCare plan. When that happens, insurance rates for 2015 will skyrocket – kind of like electricity costs as a result of the War on Coal – and the administration will be pushing for a bailout of the insurance industry since THAT was written into the law that we had to pass so we could find out what’s in it. All in all, have a Merry Christmas. 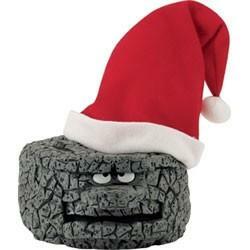 The Imperial President may have an ongoing war on coal, but The Curmudgeon is pretty sure the only thing under the tree in Hawaii with his name it will be lumps of coal. Nearing the Unnamed Holiday Obama Changes the Law of the Land. Again. Can’t keep your doctor? This poor guy can’t even keep his seeing eye dog! 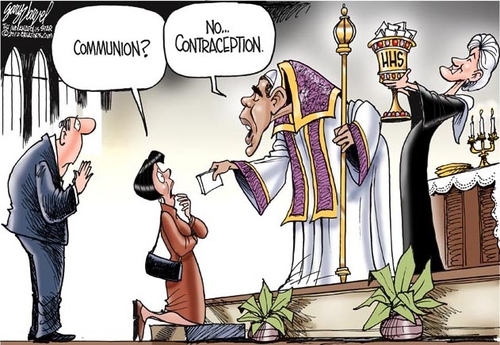 About that Contraception Mandate… NO!